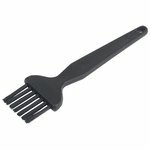 Conductive plastic straight handle brush for thorough component cleaning. 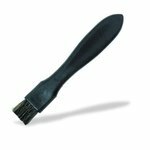 Conductive brush for cleaning ESD sensitive assemblies. 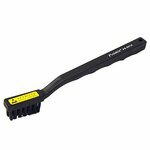 Conductive plastic handle brush used for cleaning electronics and static charge sensitive components. OAL: 143 mm.